Having a challenge of updating your Fiat? The easiest way to do it is to install interior dash kits. Wowtrim provides the goods made of first - class reliable materials, produced with the latest technologies. Determine the pattern of the trim kits you`d like by looking at our great choice of real wood, wood grain or aluminum, camouflage & carbon fiber ones. Fiat 500 2012, 2013, 2014, 2015, Full Interior Kit (North America Only), 37 Pcs. Fiat 500 2012, 2013, 2014, 2015, Basic Interior Kit (North America Only), 29 Pcs. Fiat 500 2012, 2013, 2014, 2015, Optional Front Interior Dash Kit, 3 Pcs. 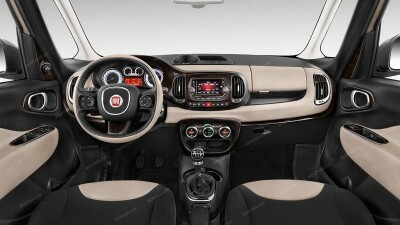 Fiat 500 2008, 2009, 2010, 2011, With Manual Climate Control, Main Interior Kit (Europe Left Hand Drive Only), 10 Pcs. Fiat 500 Prima Edizione 2012, 2013, 2014, 2015, Stainless Steel Pillar Posts (North America Only), 6 Pcs. Fiat 500 Lounge/Pop/Sport 2012, 2013, 2014, 2015, Stainless Steel Pillar Posts (North America Only), 6 Pcs. Fiat 500 2012, 2013, 2014, 2015, Fiat 500 Prima Edizione 2012-2015, Exterior Kit (North America Only), 6 Pcs. Fiat 500 2012, 2013, 2014, 2015, Fiat 500 Lounge/Pop/Sport 2012-2015, Exterior Kit (North America Only), 6 Pcs. Fiat 500 2008, 2009, 2010, 2011, Exterior Kit (Europe Only), 3 Pcs. Fiat 500 2008, 2009, 2010, 2011, Stainless Steel Pillar Posts (Europe Only), 2 Pcs. Fiat 500 2012, 2013, 2014, 2015, Optional Door Sills, 2 Pcs. Fiat 500 2012, 2013, 2014, 2015, Exterior Kit, Optional Fuel Door (North America Only), 1 Pcs. Fiat Bravo 2007, 2008, 2009, 2010, 2011, 2012, 2013, 2014, 2015, Interior Dash Kit, With Digital Climate Control (Left Hand Drive), 12 Pcs. Fiat Croma 2005, 2006, 2007, 2008, 2009, 2010, Main Interior Kit, 14 Pcs. Fiat Grande Punto 2006, 2007, 2008, 2009, 2010, 2011, 2012, 2013, 2014, 2015, Right Hand Drive, 3 Door, With Manual Transmission, Full Interior Kit, 17 Pcs. Fiat Grande Punto 2006, 2007, 2008, 2009, 2010, 2011, 2012, 2013, 2014, 2015, 3 Door, With Manual Transmission, Full Interior Kit, 17 Pcs. Fiat Grande Punto 2006, 2007, 2008, 2009, 2010, 2011, 2012, 2013, 2014, 2015, 3 Door, With Manual Transmission, Basic Interior Kit, 9 Pcs. Fiat Grande Punto 2006, 2007, 2008, 2009, 2010, 2011, 2012, 2013, 2014, 2015, Right Hand Drive, 3 Door, With Manual Transmission, Basic Interior Kit, 9 Pcs. Fiat Linea 2007, 2008, 2009, 2010, 2011, 2012, 2013, 2014, 2015, With Digital Climate Control, Main Interior Kit, 12 Pcs. Fiat Panda 2004, 2005, 2006, 2007, 2008, 2009, 2010, 2011, 2012, 2013, 2014, 2015 Interior Dash Kit, 12 Pcs. Fiat Punto 2004, 2005, 2006, 2007, 2008, 2009, 2010, 2011, 2012, 2013, 2014, 2015 Interior Dash Kit, Punto 4 Pcs.